In the context of a real estate appraisal, especially a residential real estate appraisal for a lender thru an AMC, what is confidential? 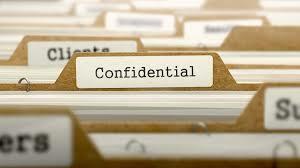 First, look at USPAP’s definition of confidential information (lines 105 – 108 in the 2018-2019 edition). It says “[c]onfidential information [is] information that is either…identified by the client as confidential when providing it to an appraiser and that is not available from any other source; or…classified as confidential or private by applicable law or regulation” (ibid; emphasis added). First of all, your employment agreement with the client could include a provision that you are going to send the appraisal report our for such a review. If the client signs this, then the appraiser is free to send the report out. A second possible solution is to require the “friendly” reviewer to sign a confidentiality agreement as an extension of your confidentiality agreement. I dont think I agree with your illustration in the article, (see below) of the sq ft that the appraiser comes up with not being confidential information, per USPAP definition. Your measurements are your measurements and can not be obtained by another source, such as public records, just like subject interior data, or any other data that is the opinion of the appraiser, and appraiser measurements and gla can vary, and especially since it varies significantly from public records. There can also be some rooms that can be classified as gla, but may not be according to ANSI standards that can change the results of the appraisal. I dont think that I would feel comfortable with freely giving out gla data, especially if it varies significantly enough that it would effect the results of the appraisal. An attorney, or the state board may make a different claim on that being confidential information and then the appraiser is in hot water. Just sayin. I would rather play it safe now, than sorry later and not give out any information about the inspection or the report. “[c]onfidential information [is] information that is either…identified by the client as confidential when providing it to an appraiser and that is not available from any other source; or…classified as confidential or private by applicable law or regulation” (ibid; emphasis added).